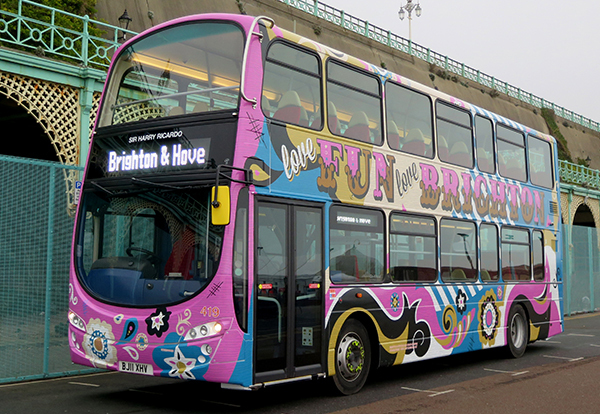 Creating this bus was a joy for Starfish's creative team. 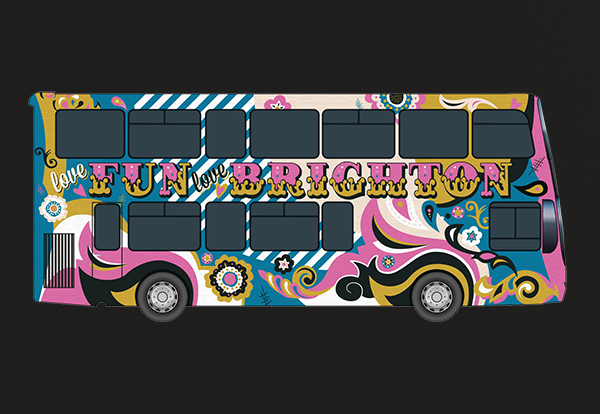 Taking inspiration from the fun fair at the end of Brighton Palace Pier, the bright, colourful swirls and gold metallic vinyl letters, really make this bus stand out. 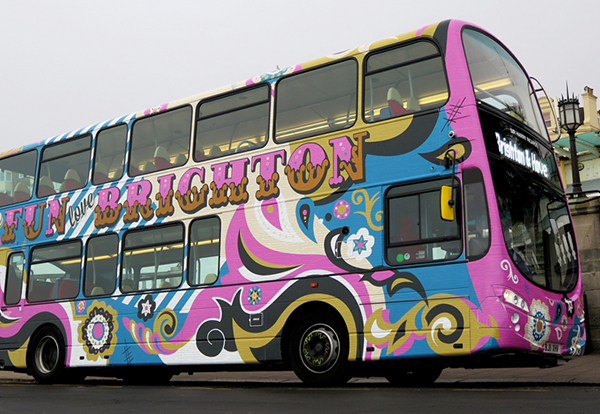 Keep your eyes peeled for it around Brighton and drop us a line if you spot it!